The penultimate round of the FIA World Rallycross Championship presented by Monster Energy took place at the World RX of Germany, where Sweden’s Johan Kristoffersson scored victory and PSRX Volkswagen Sweden secured the World RX Teams’ Championship title. 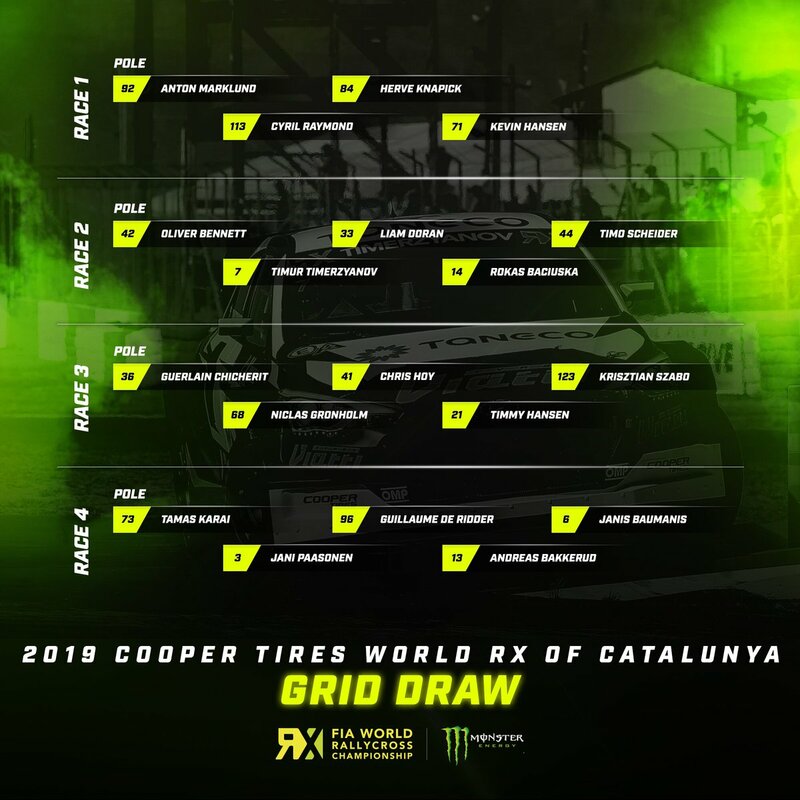 Four different drivers set quickest times in the four qualifiers at Estering and it was two-time World RX Drivers’ Champion Johan Kristoffersson who took TQ (top qualifier) in the Intermediate Classification after being quickest in Q2. The PSRX Volkswagen Sweden driver then won the final in his Volkswagen Polo R to claim a 10th victory in a record breaking season. EKS Audi Sport’s Mattias Ekstrom was quickest in Q3 and started on the front row of the grid for the final. He finished second in his Audi S1, in front of the 22,500 weekend crowd. Ekstrom was joined on the podium by team mate Andreas Bakkerud, the Norwegian taking his joker on lap four to secure a double podium for the team. GRX Taneco’s Niclas Gronholm qualified sixth in the Intermediate Classification and finished fourth in the final in his Hyundai i20. Norway’s Petter Solberg was quickest in Q1 on Saturday and won the Monster Energy Supercharge Award for having the fastest reaction time at the start of the final in his Volkswagen Polo R. He retired with the technical issue on lap five and was classified fifth. The final initially had to be stopped and then re-run when Team Peugeot Total’s Kevin Hansen crashed out in his Peugeot 208. Hansen was taken to hospital for precautionary checks and was later discharged. He was classified sixth. Team STARD’s Janis Baumanis and Olsbergs MSE’s Kevin Eriksson finished fourth in the semi-finals and didn’t progress to the final. Eriksson’s OMSE team mate Robin Larsson finished fifth in semi-final two but Team Peugeot Total’s Sebastien Loeb retired after a racing incident with Eriksson. GC Competition’s Anton Marklund retired from semi-final one after first corner contact. Team Peugeot Total’s Timmy Hansen was later disqualified from the semi-final for the incident. The Swede had earlier set the quickest time in Q4. GCK’s Guerlain Chicherit was first reserve for the semi-finals in 13th, Sebastien Loeb Racing’s Gregoire Demoustier was 17th, Chicherit’s team mate Liam Doran was classified 19th and GRX’s Timur Timeryznov ended the event 20th. In the final round of the FIA European Rallycross Championship for Super1600, Lithuania’s Rokas Baciuska finished second in the final and secured the Championship title. His nearest challenger, Russia’s Aydar Nuriev, claimed victory at Estering and finished second in the Championship. Latvia’s Artis Baumanis crashed out in the semi-finals but finished the season third in the points. Finland’s Jesse Kallio finished third in the Estering final driving a Renault Twingo.